There are almost 30 different types of work visas in Japan. Such variety of options comes from the Japanese legislation that in many cases grants visas according to the specific area of knowledge and the employment type. Once you get the visa corresponding to your employment type, in most cases you are not allowed to engage in any other types of activities, as well as you need to change your visa type when you change your job (if you are qualified to do so). In case of transferee visa and intern visa, you will most probably be assigned a company and a place in it by your current employee who might also help you with your visa procedures. Thus, you will know your role in the company in advance and choosing the right type of application should not be a problem. If you are not assigned a place and role in the company, then you need to choose the right type of visa by yourself from the remaining options: highly skilled foreign professional (hereinafter HSFP), regular employee, business visa, and working holiday visa. The detailed descriptions of the visa types as well as necessary documents and the application process can be found in the corresponding articles by following the links above. Below we will provide a concise comparison of the most important aspects one needs to consider when choosing the visa type. What is my working background? Do my education and work experience connect to each other and form a coherent line? How my education and work experience influences my career choices? What kind of theoretical and practical skills do I have? How many years have I been utilizing each of these skills? Can I present the proofs of my skills (for example, a certificate) and working experience (letters of employment, recommendation letters, etc.)? How valuable might these skills be in Japan? In which area of knowledge do I specialize? In which type of work within the chosen area of knowledge do I specialize? For how long do I plan or want to stay in Japan? How much time I am planning to dedicate to work: full-time, part-time, short-term, day-work, etc.? How do I rank to the Japanese employees of the same profile? Who is financing my stay in Japan? What is my Japanese language proficiency level? You can continue the list with more specific questions from your area of knowledge and your expectations. It is important to have a clear understanding of your professional capabilities because Japanese regulations on the work visa are very specific and strict. Most types of the working visas are granted to highly educated, skilled and valuable employees within a very narrow area of knowledge which allows for the strictly defined types of activities. Let us see what is common and what is different between these visas. Each visa type allows engaging only in those areas of work that are marked on your Certificate of eligibility and the status of residence on your residence card. There are more possibilities for business visa holders to choose by themselves what kind of business they would like to run. Yet, it must be decided before applying for a visa. Working holiday visa does not tie you to a specific workplace, however, prohibits you from working ina so-called “grey area” works: bars, casinos, entertainment establishments, etc. 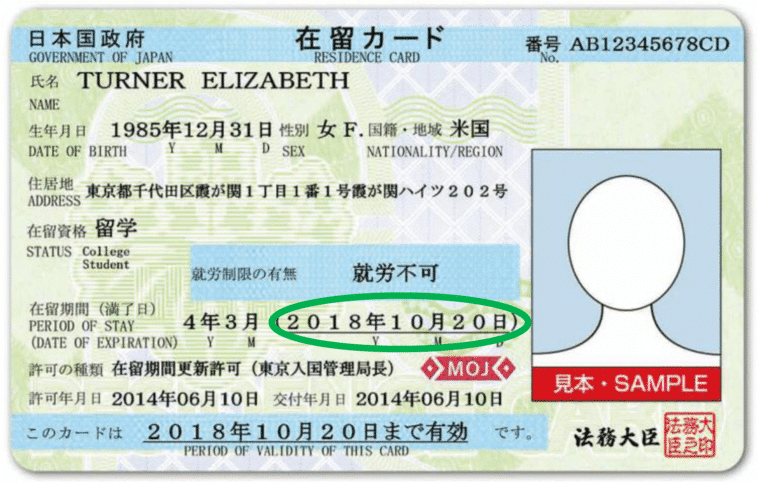 Even if your visa allows you to stay in Japan for a long time, it does not automatically mean that you are eligible for a multi-entry pass to Japan. If you plan to leave Japan for work or leisure purposes, it is necessary to obtain a re-entry visa to be able to come back to Japan. In case you leave the country without such a permit, you will have to return to your home country and apply for a new visa. The time spans shown in the table are average numbers. In some cases, a possible period of residence depends on the circumstances of employment as well as on the applicants’ nationality and background. The exact information on the period of stay can be obtained from the immigration office, embassy or consulate general, where you will be applying for your visa. Only the HSFP and working holiday visa holders can engage in multiple activities at the same time. For both, it means that they can work in two places in parallel to each other or have two projects running at the same time. The first group gets such benefit due to their highly valuable skills, the second – due to the nature of their employment: most probably they will be doing periodic simple manual work and having short-term part-time contracts. Holders of the business visa are expected to make an investment in the business they are starting up or managing. Working holiday travelers need to have sufficient funds to sustain their life in Japan during their stay. They can get salaries from their workplaces, but they should be able to fund their trips with their own funds as well. Since working holiday travelers are encouraged to travel more than work, they should have some reserve funds of their own. People with working holiday visas are encouraged to travel a lot and discover the local culture. Permission to engage in work is given to them only to allow the travelers to sustain themselves and their travel expenses. Unlike other work visa types, this one is not meant for a full-time and long-term employment at one place. Since working holiday visa assumes short-term and part-time employment, holders of this visa should not rely solely on their salary income in Japan. Sometimes they might need to use their own funds. Other types of visa demand that the employee with the full-time long-term contract must be paid on the regular basis the salary that can measure to the salaries of Japanese nationals in the same positions. Only holders of the business visa can receive a preferential treatment at the immigration offices. Their documents will be taken into processing faster. Depending on your work visa type, you may be able to bring your spouse, children, parents or even a personal helper (for example, a nanny or a housekeeper) with you. Such possibilities are determined not only by your visa type but also by your family circumstances and financial situation. If your visa type suggests you are able to bring other people with you to Japan, you should be capable of sustaining their living in the country. There many types of working visas in Japan. Almost every occupation requires a correspondent type of a residence permit. Visas are different in their duration, possibilities of its prolongation or renewal, possibilities of bringing family members or personal helpers with you to Japan, the number of hours you are allowed to work per week as well as fields of occupation, etc. it is important to remember that you can engage only in those activities that are allowed under your current visa (status of residence). There are some exceptions to holders of Highly Skilled Foreign Professional visa. Be sure to familiarize yourself with the scope of work activities you are allowed to perform under your visa tye. What if I want to change my type/place of work? You can change your workplaces, but you also have to apply for a new visa that will correspond to your new role. Make sure your new work complies with all the requirements for visa application. Your activities in Japan should always fall within the scope of allowed ones for your specific visa type. If you are not sure whether you need a new visa, consult your local immigration office. What if no longer work for a company in Japan but I want to stay in the country? The rule of a thumb when it comes to visa types is to have a visa that corresponds to your type of activity in the county in a broader meaning of the word. It can be a work-related (employment) visa, but it can also be a visa granted on other grounds. For example, an investor visa or a marriage to a Japanese citizen or a person who is living in Japan and has a right to bring their spouses to Japan. Thus, if you are no longer employed, consult the immigration office about the grounds for your further stay in Japan and what kind of visa would be the most appropriate for your new circumstances. Can I prolong my visa? Yes, most of the visas can be extended provided you have sufficient grounds to do so. Usually, you will get your first visa for a shorter period of time. Every next visa may be granted for a longer time if it is possible according to visa requirements and if you have a great record of conduct. Do I need to be proficient in Japanese to apply for these visas? It depends solely on the contents of your business and/or work. However, being able to communicate in Japanese at least at the basic level will widen the pool of your possibilities in many regards: it is easier for you to communicate with co-workers, clients, and locals. Remember that English language skills are not so widespread in Japan. If you speak neither Japanese nor English, finding your way in Japan may be extremely hard. Try to find out if your company may be able and willing to provide you a language training or assist in finding appropriate language courses.